Although Jake Shields has yet to sign on the dotted line, it appears he already has an opponent waiting in the wings. 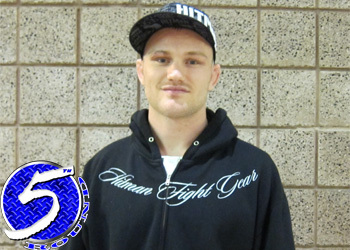 Top welterweight contender Martin Kampmann has been selected to welcome Shields into the Octagon. Although the financial terms of Shields’ free agent contract have been agreed upon, no deal has been inked as of yet. MMAFighting.com learned from sources close to the situation that the Danish fighter would face Shields in his UFC debut. The bout could determine the next No. 1 contender for the welterweight crown. It was reported on GracieFighter.com yesterday that the Cesar Gracie trained Shields would face a “top contender” in his first Octagon bout. After a potential bout with Dan Hardy at UFC 120 fell through, Kampmann and his management team worked through the disappointment and may have received a blessing in disguise after Strikeforce’s former 185-pound champion announced he’d be competing in the UFC’s 170-pound class. Kampmann is coming off the biggest win of his career when he took out the highly touted Paulo Thiago via unanimous decision at UFC 115. Shields will bring a staggering 14-fight win streak to the Octagon. Best believe that the talented ground guru will look to start his march towards Georges St-Pierre’s welterweight title in impressive fashion. He’s talked about facing the planet’s elite for quite some time and now he’s finally been afforded the opportunity to show his mettle. He too is coming off his most significant career victory after shocking former Pride and UFC star Dan Henderson at “Strikeforce: Nashville” to retain the middleweight strap. Expect an official announcement regarding Shields’ UFC arrival within the coming days, which should be immediately followed by a confirmation of his first bout.